For our rocket we needed to make a nosecone. My group wanted to have a 3D printed nosecone so I went on Tinkercad and began to design. I showed my design to my group because my whole group needs to agree. Everybody liked it. We soon sent the design to the high school for them to print. When the nosecone came back we glued it on to our rocket. That group miscalculated to measurements. There nosecone came back way to big. That just shows you need to check your work. Luckily a boy in my class has a 3D printer. That was a big save. I can’t wait to see our results! Today was our first rocket launch. J.E.X.L. was the group that went the highest. Their rocket went up about 57 meters. Blasting Rockets were the group that went the lowest. Their rocket went up about 20 meters. As you might see, the difference was quite large, 37 meters. That is almost three times larger than 20 meters. But some of the data was not quite correct. My group, The Rocketeers, measurements were 43, 44, 48 and 30. Did you see how much of a distance the was between 44 and 30? We called those numbers outliers. Throughout the graph we found a whole bunch of outliers. We circled them and when we calculated the averages we made sure not to include the outliers. We recorded data too. We filmed and took pictures of all of our rockets launching. This lets us relook at our launches. This could also help us determine the height of each launch. The Rocketeers got about the third highest launch. We were only about a meter from being the second highest launch though. In my classroom a little while later we needed to discuss what went well on out rocket and what we could fix. One thing we thought went well was our fins. Our rocket went straight up. That meant the fins were doing their job of keeping the rocket balanced. We decided that our fins would stay the same because they worked. One thing we thought that we could improve was our nosecone. There technically was nothing wrong with our nosecone but we had a lot of new ideas. One was to make it pointier and more aerodynamic. Our calculations aren’t always on point though. We were very frustrated about some of the outliers. They made some of the numbers unfair. Overall The Rocketeers are very happy about their launch and they cannot wait to see how our second launch will go. Will the rocket improve with our changes? Will the measurements be fairer? Will The Rocketeers find another thing or maybe a better thing to improve? 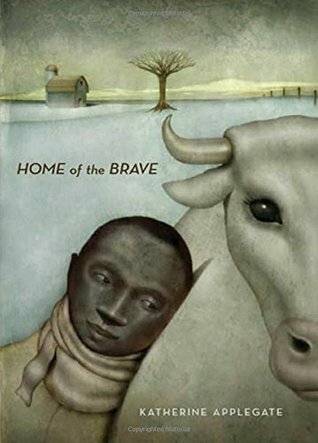 In our fifth grade class we are reading a book called HOME of the BRAVE. The book is about a boy name Kek who lost his family and his home. He needs to move to America because his country is at war. He is struggling. He finds a farm and a cow. We have been talking about why Gol is important. Here was one of our questions. I think that Gol represents his past because at his home he used to herd cattle just like Gol. Gol also means family. All of Kek’s family is either dead or missing. Cattle and family were a huge part of his past. Gol is a symbol in the present because he is also lonely. Gol is old and lonely just like how Kek feels. Gol is going to need to leave the farm soon and I think that Kek might want to leave with Gol. Kek really gets how Gol is feeling. Gol is Kek’s only piece of his old life. This picture is from Goodreads, Home of the Brave. I collected information for about a week. Soon we had computer lab where we learned how to arrange everything. (It is harder than it looks.) I got all of my information typed and pasted into my infographic. We still had a LOT of time until the project was due so I began to edit. I reread my text and cut some out to leave space for images. I began to put in images, making everything as neat as I could. I put boxes around everything and bolded the most important things. By then I THOUGHT is was done. But, of course I wasn’t. We began to share our infographics and I got a whole bunch of feedback. I began again, bolding, typing and adding images. This went on for anther week, organizing, editing. Soon I loved my infographic. It was just how I wanted it. It is due in a few days but I am not going to change my infographic a bit! As you know, I have been working on rocketry with my group. In my post Rocketry Rocks! you can read what I have been working on. We began to learn how to use all of the tools for the launch. We learned how to use the launchpad, a trundle wheel and a clinometer. First we learned how to use a launchpad. You need to fill up your bottle with about 150 milileters of water. You then stick the bottle on the cork that is on the launchpad. Than you pump 90 PSI of air into the bottle. Than a teammate of yours goes to the other side of you bottle and picks up the string. But before you launch your rocket you need to make sure everybody is ready. You need to yell “CLINOMETERS READY?” and then you start the countdown. When they get to one you pull the string. BOOM!!! A trundle wheel is a wheel that you use for measuring meters. Every time you walk a meter the wheel will give a little click. You start in the middle and go about 15 meters out from the launchpad. You will need somebody to count 15 clicks for you as you are walking. A clinometer is a tool that you use to measure angles. You release the trigger and point to where you want to measure your angle(usually up). When you get to the angle you let go of the trigger an arrow will point to a number. The number will show what the angle was. Once you have your angle you can make a chart. The chart will help you see how many meters your rocket went up. This information is all supposed to help you on your launch day. I hope that I will get a good job on Launch Day. I also hope that everything will be successful. I am glad we practiced measuring angles because I would never be able to measure angles on my first time! We have been doing a rocketry unit for the past few weeks. We have done inspiration boards, designs, found our materials and put together our rocket. The people in my group are Audrey, Harry and Marcello. We have been working very hard on our rocket design. We made our fins the other day. Everything went great until we needed to decide the best way to design them. Audrey and I both had different ideas and my whole group had to work together, consider our options and decide what fins to use. My group (or it could just be me) is really proud of our inspiration board. We worked for a week to find pictures of rockets, fins, diagrams, etc. We arranged them and glued them onto a big poster board. We then all worked together to explain WHY we picked each picture. We presented it to the class and my whole group got to talk about our board. That was one of our biggest accomplishments. Today we put our whole rocket together. We worked really well together and we accomplished a lot. We sanded our rocket, put duct tape on it, finished the fins, hot glued our rocket together and then we went on Tinkercad where we made a 3D printed nosecone. Like I said before, rocketry takes a lot of teamwork. My group has had some bumps along the road, but we just keep on going. For rocketry you need perseverance because your ideas will not always work. Rocketry had been great, but I can bet it will just keep on getting better!! !